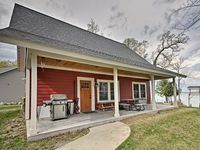 Property 6: Federal Dam Cabin on Leech Lake-Near Boat Launch! Property 12: Cozy Buck Lake Cabin escape on Cass Lake Chain just minutes from Bemidji!! Property 14: Cabin #1 (Whitetail) Beautiful log cabin situated right on the lake! Property 15: CABIN #4 (Bear) Beautiful knotty pine cabin tucked back by the woods! Property 16: CABIN #2 (Wolf) Beautiful log cabin situated right on the lake! Property 17: CABIN #5 (Loon) Cozy and comfortable 1 bedroom cabin with nice view of the lake! Property 18: CABIN #3 (Walleye) Beautiful log cabin situated on the lake! Private Deer River Cabin w/ Lake & Forest Views!